One of the major competitors to Google in the online office applications race is a gutsy young Indian company call Zoho. Despite Google Apps fervor, Zoho was able to develop one of the most vibrant and functional office and business suites available. Zoho offers a wide range of applications. From databases to human resource management, Zoho has it all. Not only that, the apps are created in such a user-friendly and meticulous manner, that it's sometimes hard to believe that they are web-based. Take their Writer (a clone of Microsoft Office) for example. Much of the functionality that you would find in Microsoft Word ™ is resident in Zoho Writer – as opposed to Google Docs where you are left to work with a very watered down word processor akin to Microsoft Wordpad. Don't get me wrong, I am a Google Apps user, but no matter how you spin it, Google Docs needs some improving. All in all, there are about 22 apps available – most of which are free in some respect. 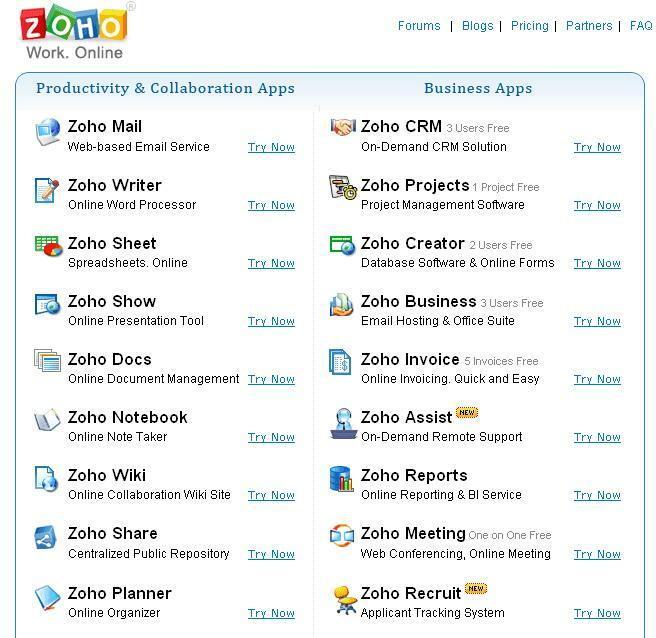 The major drawback of Zoho (and this is going to sound strange) is that it isn't Google Apps. 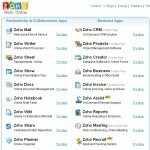 The establishment of the Google Apps Marketplace was the nail in the coffin of any hope of Zoho becoming the cloud-based office application monopoly. If you want to integrate your business with a whole host of third-party applications (i.e. Freshbooks, Tungle, and so on), you'd be better off being a Google Apps customer. On the other hand. The Zoho corporation isn't stupid. They've integrated a couple of their products with Google apps, knowing that they'd have a better chance of making money by offering their services in the Google Apps Marketplace, rather than trying to be the next Google Apps. This is good news for Google apps users, and Zoho fans alike. This is hardly a detailed review of everything Zoho, I know. But, although they are not the big dogs in the cloud, they have some pretty awesome office applications. That being said, if you are serious about getting started with a good suite of apps, I start by giving Zoho Projects a try! It's a great entry-level project management system with Google Apps integration, and of course integrates with Zoho's other services. Dean: Thanks for the nice review. We are indeed integrating more of our apps with Google Apps and they'll be available in the Marketplace. Zoho continues to grow at a healthy pace as more and more SMBs sign up for our free versions and when they like what they experience, move on to become our paying customers. Another alternative I can suggest is web crm <a href="http://www.worketc.com” target=”_blank”>www.worketc.com. It also has a host of usable business applications — from managing leads and sales to monitoring projects and sharing documents, to tracking billable hours and invoicing, up to customer support and reporting. 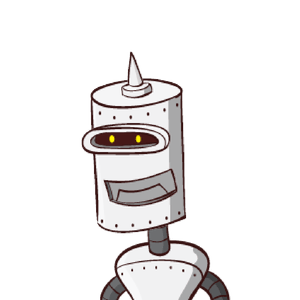 Managing contacts is also a breeze as you have the capability to assign unlimited tags to your contact list, and you can also integate google calendar with it. Very interesting! Thanks for the comment. I have to honestly admit that I am very skeptical of a web app that claims to be able to do everything. I've done a preliminary review of <a href="http://www.worketc.com” target=”_blank”>www.worketc.com and it looks very good! I'll give it a trial run next week and do a review on it in this blog. The pricing is very tempting, and I especially like the ability to create Gantt charts etc. The only thing that I see right now that is lacking (or maybe it's there and I don't see it) is the ability to accept online payments for invoicing. That's been a great way for my business to get payments more quickly. But it's not a show stopper. I have used Google and it's applications and Zoho; while all want their preferences, I believe ease of use; one user name and password make for a non complicated use of services. The same holds true for all the services as one username/password do it all! For me it is and always will be Zoho. I agree. However, with google apps I get one user name for their app suite, third-party apps, and zoho products as well.